It’s November, and that can be a rough time at University! It’s time to be kind to yourself. It’s November. Are you stressed? I’m not surprised. So are many of your fellow students. Let me let you in on a secret. It’s not just you. If you’re comparing your insides (how you feel) to someone else’s outsides (how they look, what they say on social media), that isn’t a fair comparison. 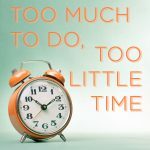 Although there are many amazing things that go along with being at University, there is also a lot of stress for everybody, particularly at this time of year when demands seem to pile up and up. You may be trying to deal with a number of mid-term exams at the same time, feeling like there isn’t enough time to study for everything; you may have a number of papers or assignments due all around the same time; perhaps you’re trying to complete a group assignment when the group members are all so busy, they can’t find the time to get together; you many have difficulty finding the time to do your grocery shopping, so you’re not eating well, or spending too much money on eating out; maybe there’s no time to work out even though you know it helps you feel better, and on and on and on. What can you do? Well, there are many things you can do, and I’ve written about some of them in other blogs (e.g., building willpower, a way to relax, focusing on the positive), and will continue to write about them. In this blog, I want to tell you about the importance of practicing self-compassion. What is self-compassion? 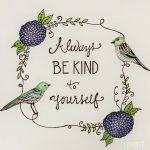 Self-compassion refers to showing kindness and consideration to yourself in those times when you are feeling inadequate, or like a failure – when you are suffering. 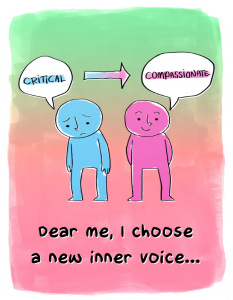 When you are faced with difficult life struggles, or confronting mistakes or personal shortcomings, self-compassion requires you to respond to yourself with kind-heartedness rather than harsh self-criticism, recognizing that imperfection is an unavoidable part of the human experience. We all go through times like that – so give yourself a break! Self-compassion is NOT self-pity. 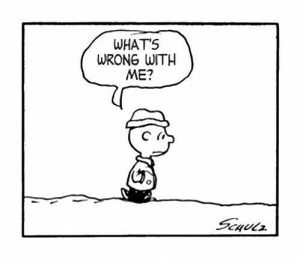 It’s not about “poor me” or “I’ve got it worse than others.” Rather, it’s about recognizing that the road through life is not always a smooth one, for anyone, and that now you are going through a particularly rough patch. Self-compassion is NOT self-indulgence. It’s not about letting yourself off the hook, or making excuses because you are having a difficult time. You still need to do what needs to be done, because you want to do your best, but you move forward with a feeling of self-support and kindness. 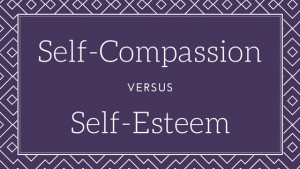 Finally, self-compassion is NOT the same as self-esteem. Self-esteem focuses on our sense of self-worth and often relates to how much we feel that we are above the average. 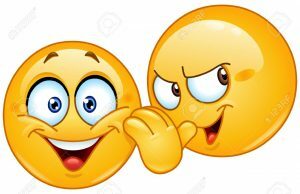 Self-esteem is often dependent on our successes and failures relative to others. 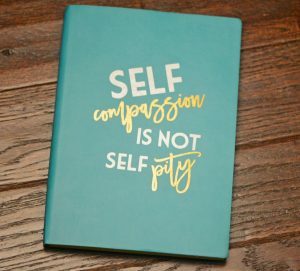 Self-compassion, in contrast, is about understanding that, regardless of accomplishments, we are worthy and important, and, particularly when we are struggling, we deserve compassion. Why give yourself compassion? Research shows that self-compassion is associated with many positive qualities. Greater self compassion has been linked to less anxiety and depression. People with higher levels of self-compassion have been found to be more motivated than people who are self-critical. They seem to have more confidence in their ability to be successful, and show less fear of failure, so put forth more effort and are more productive. Self-compassion is associated with decreased stress and with more positive emotions. Although you may have grown up believing that pushing yourself hard and being tough on yourself are necessary for success, psychological research on self compassion seems to show otherwise. If you are going through some rough times, remember to show some self-compassion and be kind to yourself. It will make your struggles easier, just when you need it most. ← Is it getting harder to stay on track? Some tips for strengthening your willpower.